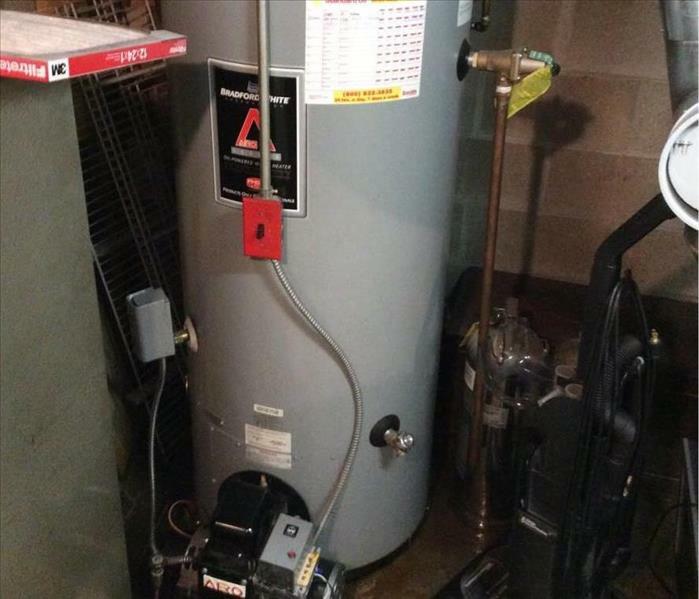 No matter what the season, your hot water heater can give you a problem. Although there are a number of reasons associated with a hot water heater failure, the most common cause that we see is due to old age. Hot water heaters will typically last you between 10-15 years. A leak may occur when corrosion and mineral build up occurs to the internal components. What may begin as a little leak can quickly lead to a flooded basement. As a homeowner, knowing the signs that your hot water heater is on its last legs can help you avoid a water disaster. Water color/quality: When running your faucet on hot, note it’s appearance. If it appears rusty, this is a s sign that there might be corrosion in your tank and signals an upcoming failure of your water heater. Look for signs of muddy water or increased sediment in the water tank: Muddy water or increased sediment signals a potential failure of your water heater. You can check this by attaching a hose to the drainage bib on the water heater, turn the unit off and drain it to examine its contents. When flushing the water heater, remember that the water that comes out of the hose bib at the front of the water heater is going to be extremely hot, as it will not be mixed with cold water. Smell or taste the water. If the hot water has a metallic taste to it, this indicates that the water heater is close to breaking down. Listen to the noises your water tank makes: Your heater will normally make sounds however any loud cracks or pops could indicate a problem. If you notice your hot water heater has any of the symptoms of a failure, call your plumber for an inspection. 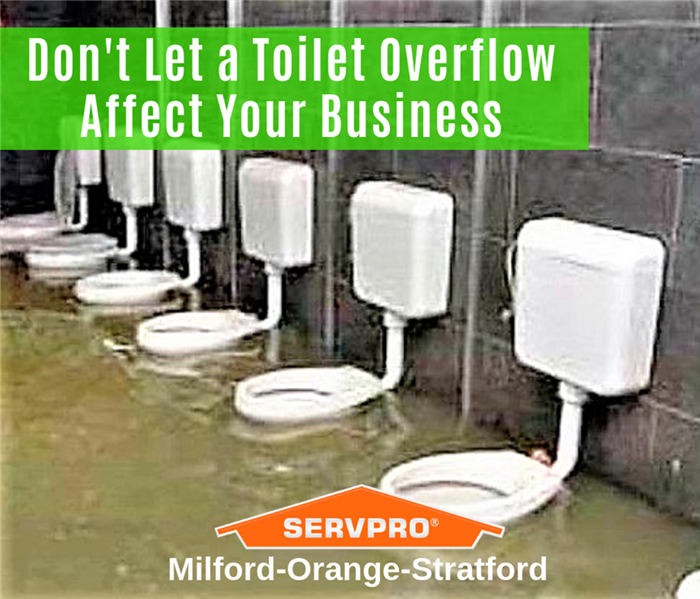 For floods caused by hot water tank leaks, call SERVPRO of Milford-Orange-Stratford at (203) 301-0500 for immediate service. This month, we’ve decided to spotlight two of our employees who have really kept our office running smoothly over the past few months. Theny and Alexis are the administrative assistants working out of our Woodbridge office. When our office manager Kathy took a temporary medical absence this winter, Alexis and Theny rose to the occasion and held everything together. The work of an admin at SERVPRO of Milford-Orange-Stratford requires the ability to multitask while still paying attention to each detail. Between calls from customers, contacting insurance agents, scheduling appointments as well as conveying information to the crew, our admins have their hands full. Theny and Alexis go through each day their cheerful, enthusiastic selves who are always eager to lend a hand. 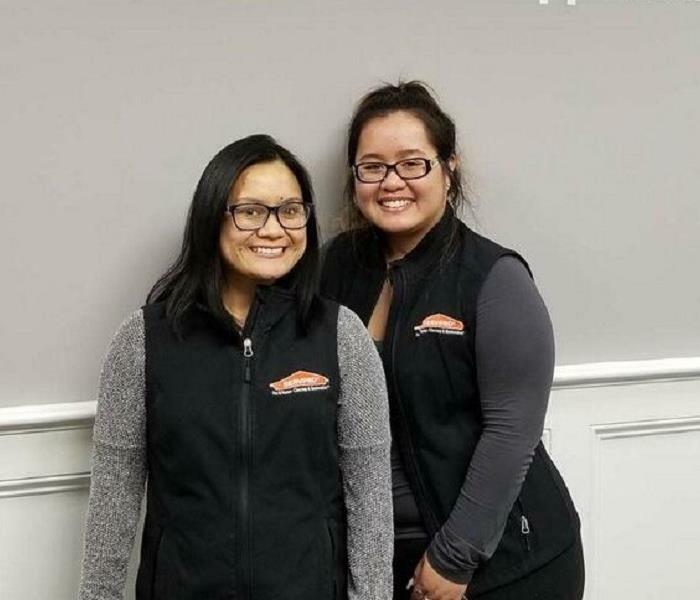 Whatever situation arises in the day to day business here, both of these ladies use their problem solving skills to help our customers and the team. Alexis Phouadara has been in this industry for 4 years and is certified in Water Damage Restoration. She grew up and still currently resides in New Haven, CT. She loves collecting, doing make-up and the Golden State Warriors. Her favorite food is almost everything from her culture, Laos and Thai. Last, but not least, her favorite person in the entire world? Her 6 year old daughter, Sophia! Thank you to Alexis and Theny for your hard work and commitment to our team. You are the glue that keeps us all together and we appreciate all that you bring to our organization. It’s not uncommon for New Haven County homes to have a sump pump installed to keep a basement dry. The function of a sump pump is to ensure that the water drains properly and reduce the risk of water damage. It’s important to make sure that your sump pump is in good working order with an annual inspection that can be done by most homeowners on their own. Check the power source for the pump. It should connect to a ground fault circuit interruptor (GFCI) for maximum safety. Inspect the cord to the pump, looking for evidence of wear and tear. Find the outlet pipe that allows the water to drain outside of your home. Make sure that there aren't any clogs or damages done to the drain making it impossible for water to exit the home and flow away from the foundation. Make sure the pump is level and upright. When it runs, the vibrations from the motor or the force of the water can cause it to tilt, which will let the float shift out of place. Locate the sump pump in the lower level of your home and check the inside of it to ensure that the pump is not clogged with debris. Take the pump out of the basin. At the bottom, there should be a grate, which needs cleaned of any debris that could cause a malfunction. Slowly pour approximately 5 gallons of water into the pump to simulate if a storm were to hit. As you pour, watch for it to turn on and start pumping the water out of your home. If should start pumping when the water reaches about 8-12 inches below the basement floor. This task simply assures you that the pump will run when it needs to and that nothing has malfunctioned. If your sump pump contains a float in the basin, make sure that it is also functioning properly and not caught on anything while running the test. This float is what lets the sump pump know when the water reaches a certain height and activates the pump. Most sump pumps work with no issues however we do receive calls from those unlucky homeowners that experience a failure and have a flooded basement. 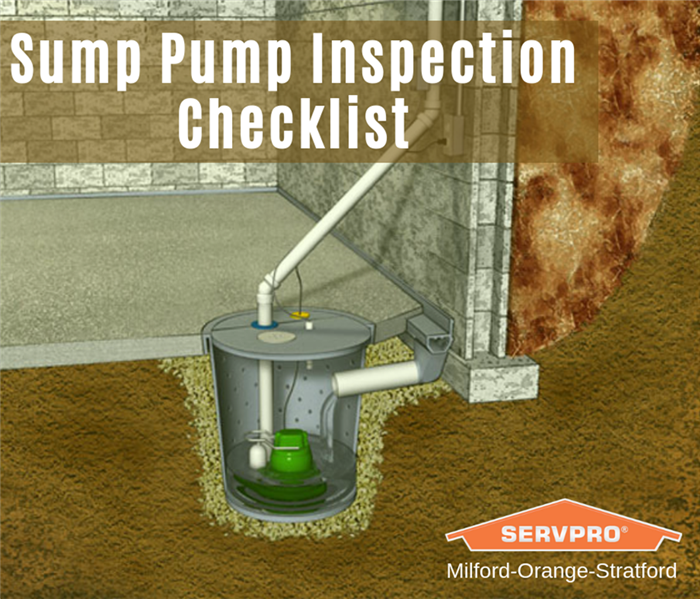 If your sump pump fails, give SERVPRO of Milford-Orange-Stratford a call at (203) 301-0500. Many old homes lack 3 slotted grounding outlets. An easy solution is to use a cheater plug but are they safe? We were once called to a home that had experienced a devastating fire. The rental home had been an older house that fortunately vacant at the time of the fire. After the investigation was concluded, it was determined that the fire had been started by an extra freezer that had been put in the garage. The problem? The garage did not have any three pronged outlets so the tenant had used a three-pronged adaptor plug to circumvent this obstacle. 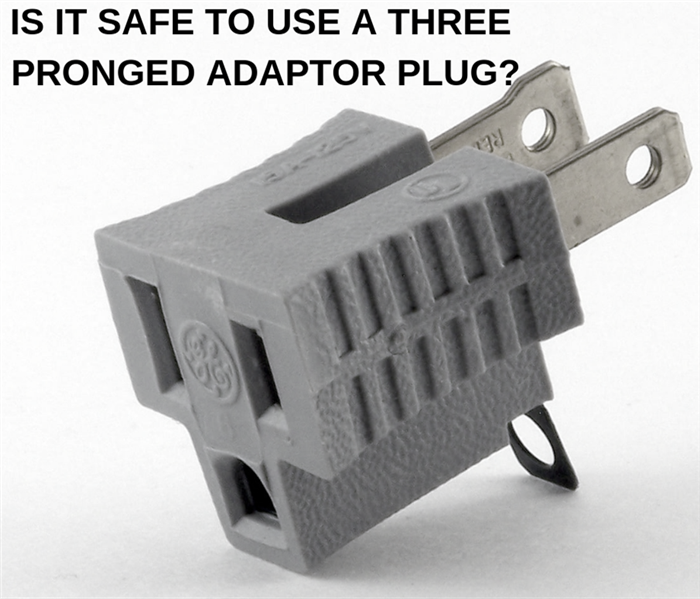 Three pronged adaptors, also known as "cheater plugs", allow a three pronged plug to connect to a non-grounded, 2 slotted receptacle. They are often used for appliances in older homes and they solve the problem without any electrical work being necessary. However, as seen in the case above, they are not designed to be a safe solution. The reason appliances and electrical items have a third plug is to protect them from electrical surges, malfunctions and fire. If something goes wrong with the appliance, the cord, or the outlet, the ground system provides a secondary path for the electricity, leading it back to your home's breaker box and safely into the earth. Taking away that grounding function makes your home vulnerable to a fire. It is safer choice to replace your outlets with a third prong outlet and while you are at it, make it a GCFI outlet. GCFI outlets shut the electricity to the appliance off at the outlet when a surge is detected, rather than the breaker as is the case of a 3 pronged outlet. This saves seconds, which could protect your appliance, your home and you from a shock! In the New Haven County area, we have many beautiful old homes that are lacking updated electrical systems. We are also fortunate to live in an area with a plethora of talented electricians. Give one a call to inspect your older home for any potential issues and protect your property from an electrical fire. A toilet overflow at your commercial property puts your property and customers at risk. Sewage backups are a literal mess and when you are a business owner, the call can come at any time. Whether you own a restaurant and your public toilet has overflowed during the dinner rush or your retail business has a sewage flood that is quickly spreading on the carpeting, it’s a call that you don’t want to receive. Toilet overflows and sewage backups are not an ordinary water damage event. Sewage is contaminated and the flooding caused can damage your commercial building and its contents as well as create a risk of disease. Knowing the causes, the preventative actions that can be taken and having a plan of action in place can help business owners reduce the extent of the damage to their building. Most often, sewage backups are caused by a blockage in the lateral line from your building to the main sewer. This can be caused by tree roots that damage pipes as well as debris that has clogged up the lines. Damage to your lines can also occur due to aging pipes that develop cracks. Even driving heavy equipment such as a moving truck across the lawn can damage the pipes buried there. Most sewage backups that occur due to blocked pipe occur over time, so there are some strategies that a business owner can take to reduce the chance of this happening. You already know that a good plumber is essential to protecting your structure. Have your plumber conduct an annual inspection with the purpose of identifying potential problems before the pipes are completely blocked and flooding has occurred. Follow your plumbers advice as to whether a water pressure reducing valve or a pop-up sewer release valve might protect your property in the case of a sewage backup. Our commercial property customers know to call us immediately upon the discovery of any water damage but this is even more important in the case of sewage flooding. Contaminated water poses a health risk and as it quickly makes it way into walls and flooring, the danger spreads. It is essential that your employees do not clean up a sewage backup themselves. They can actually make the situation more dangerous and put themselves at risk. We recommend that the area is evacuated until the SERVPRO of Milford- Orange-Stratford restoration crew is on the scene to assess the damage and immediately begin the restoration process. Our team is trained in how to execute a professional and efficient sewage damage restoration plan. We will remove not only the sewage, but also properly remove damaged materials and sanitize your structure and restore contents. One of the worst parts of a septic backup is the smell. Our team uses odor removal equipment to get rid of the stench left behind. If you are not already familiar with the services that we offer commercial properties, give our office a call at (203) 301-0500 to see how we can help you protect your business from damage. 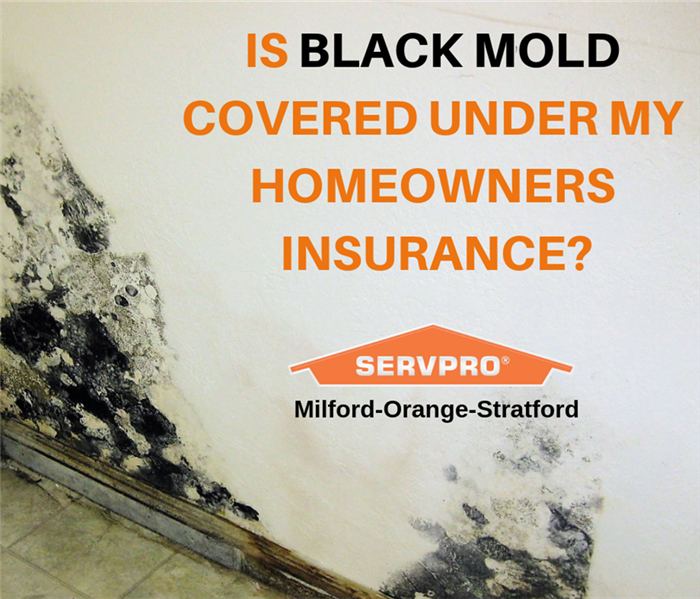 Does Your Insurance Policy Cover Mold Growing in Your Home? Mold remediation is covered under most homeowner's insurance policies if caused by water damage. One of the most common questions that we receive in our Woodbridge office is whether mold damage remediation will be covered by a standard homeowner's insurance policy. It can be surprising to some homeowners to discover that their insurance policy does not cover mold. While mold coverage varies from policy to policy, many insurance companies do not include damage caused by mold, fungi, and bacteria in their standard coverage. In particular, if the mold is a result of neglect such as the failure to address a leaking pipe, it is not typically covered. That said, when mold is caused by a sudden and unexpected event such as water damage from a burst pipe, the remediation is often covered. We recommend that you call your insurance agent if the language of your policy is unclear. Some policies contain clauses that exclude mold. Some will cover mold removal only under certain circumstances. Typically, if your policy does not include mold remediation it can be added onto the policy. It's a smart preventative measure that can save you thousands in the future. If you see signs of mold in your New Haven County home, call SERVPRO of Milford-Orange-Stratford at (203) 301-0500 to make an appointment for inspection. Our office staff has a wealth of experience with both homeowners and insurance companies and will help guide you through the mold remediation process. Spring is Just Around the Corner in New Haven County! We are all looking forward to springtime in Connecticut but the warm temperatures can mean basement flooding to homes and businesses. Trust us. Despite the snow that fell this week in the Woodbridge, CT area, spring really is just around the corner. The shining sun outside today is giving us all a little hope and if you are like us, you are ready for this winter to end! Between the single digit temps, heavy snow, several thaws and heavy rain, we’ve worked for months mitigating water damage and flooding from frozen pipes and ice dams. As a water damage restoration company, we know that the coming of spring does not mean an end to water damage in area homes and businesses. Warm temperatures thaw the ground, creating a soggy, uneven surface. When the snow melts, puddles form and the ground becomes so saturated that flooding occurs. In particular, we see quite a bit of basement flooding in March and April due to water seeping through leaks and cracks in the foundation. Basement damage can happen quick and can be unexpected - occurring even in a basement that has previously remained dry. Unless you keep your basement empty, the flooding will not only cause structural damage, but also cause damage to your belongings. In addition, basement flooding can create the ideal environment for mold and mildew growth. 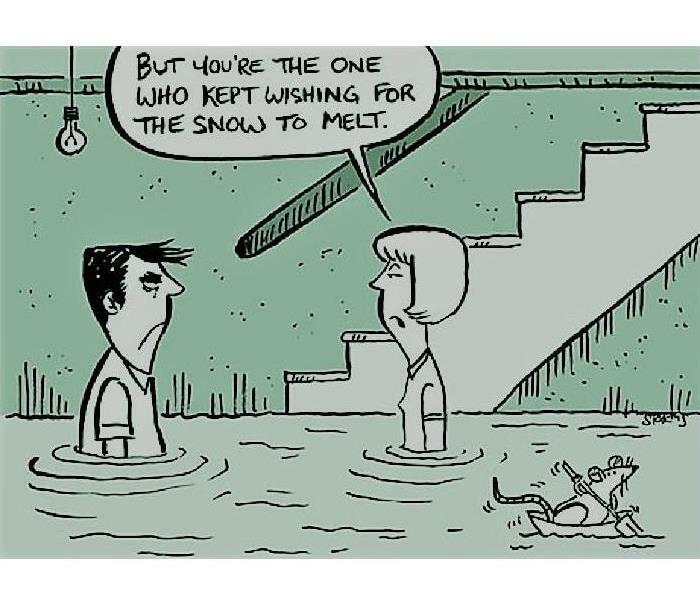 So what’s a homeowner to do to avoid water damage during the spring thaw? There are a few steps that you can take to reduce your risk of flooding. Ice dams are not only a concern during the winter months. Because ice dams are a problem when the weather warms and the ice melts, they are troublesome during the early spring. Careful removal of snow off of your roof with a roof rake after snow falls (and hopefully when it is still light and fluffy!) will prevent ice dams from forming and causing water damage inside your home. The best way to keep melting snow from making its way into your basement is to grade the ground closest to your foundation. Build up the soil in order to have at least a six-inch slope from the foundation to at least ten feet from the property to keep water from seeping into the foundation or basement. Clogged gutters can cause water to spill over the side, down the walls of your home and seep into the foundation. Make sure your gutters are free of debris to ensure proper water flow. Properly install downspouts and extenders to direct runoff away from your home. Because your gutters are your first line of defense, houses without, or with clogged, gutters often have leakage problems caused by water splashing against the foundation. You can also dig a plastic lined trench to divert the runoff from the roofline. As we all look forward to the warmer months, keep in mind that we aren't in the clear yet from water damage! If you do have flooding from melting snow, call our office at (203) 301-0500 for immediate water damage restoration services. Thank You to Our Amazing Team on Employee Appreciation Day! A look a the calendar shows that there are too many recognition and awareness days to count and we can't possible observe all of them. However, March 1st is Employee Appreciation Day and we couldn't let that pass without notice! Really good people are hard to find, especially in the restoration business. Our crew works in what can sometimes be difficult conditions - cleaning homes after a fire, a sewage backup or mold infestation is not easy work. They are on call 24/7 - which is a commitment that not all potential employees are willing to make. Restoration work also requires a high level of training and the willingness and aptitude to learn. On top of all of this, our crew must also have excellent customer service and people skills. 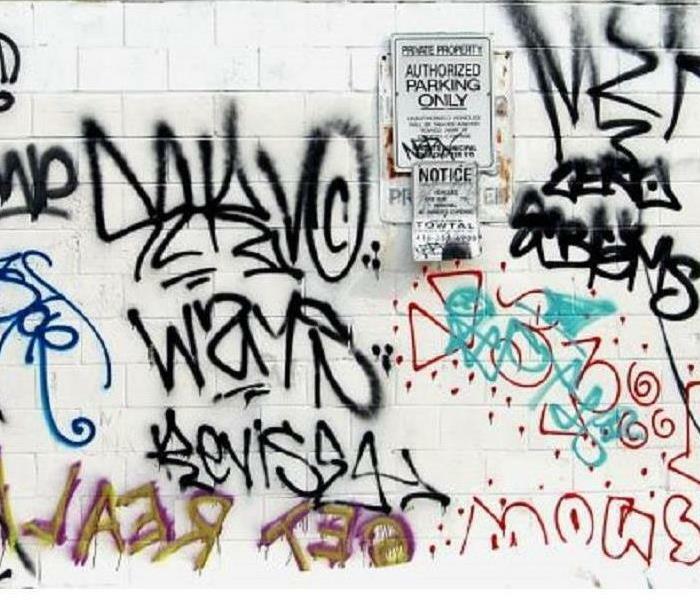 They are in our customers homes and businesses during a vulnerable time - right after water or fire damage has occurred. Our team is comprised of respectful and courteous individuals who put our customers at ease. Most have been with us for years although we have been fortunate to add a few new technicians in the past year who have made our team even better! Their level of expertise and commitment is unparalleled in the area. They are irreplaceable in our minds and we are grateful each day to have such an amazing team. Our technicians are an incredible group of people who show up day after day ready to help. They couldn't do their jobs, however, without the support of our office staff. In our office, the phones are always ringing and when our staff answers a call, they know that on the other end are people who might be in the midst of a challenging time. The employees in our office - Theny, Kathy, Keri and Alexis - are well versed in the in's and out's of the water, fire and mold damage restoration industry. They work hard every day to help our customers through the restoration process. They are the wheels that keep our machine turning- communicating with not only customers but also with insurance companies and our crew out on the road to make certain that the process runs smoothly for each and every customer. Without such a commitment from this group of ladies, we wouldn't know what to do! Cheers to our team on this Employee Appreciation Day. Thank you all for your dedication, hard work and for simply being a great group of people! 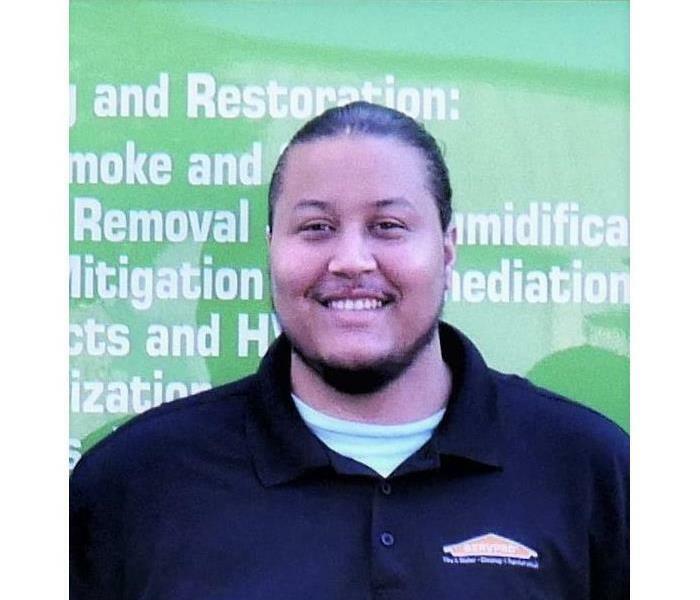 Junior Delgado has been promoted to the position of production manager at SERVPRO of Milford-Orange-Stratford. We are pleased to announce the promotion of Junior Delgado to the position of production manager. Junior has been with SERVPRO of Milford-Orange-Stratford for the past year as a crew chief. He began working for us after we acquired the SERVPRO of Newtown and Southern Litchfield County franchise, for whom he had worked for three years. During the course of the past year, Junior has excelled in all of the aspects of his job of crew chief. It has become evident to us that he possesses the qualities that we look for in an employee who can fill a leadership role with our company. In the fast paced environment of the restoration industry, where each job that we show up on has its own unique challenges, Junior’s ability to absorb new information quickly and adapt to each particular situation makes him invaluable. He approaches each job with a determination to make sure it is done right and matches that enthusiasm with excellent customer service. Our customers tell us that with Junior on the job, the service is friendly, respectful and dependable and the communication thorough. We look forward to welcoming Junior to the position of production manager and have every confidence that he will thrive in his new position. 3/11/2019 - Does Your Insurance Policy Cover Mold Growing in Your Home? 3/5/2019 - Spring is Just Around the Corner in New Haven County! 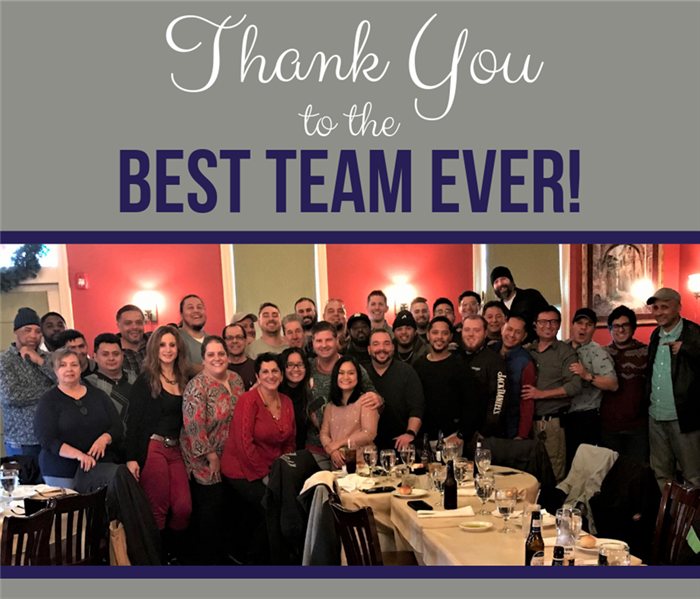 2/25/2019 - Thank You to Our Amazing Team on Employee Appreciation Day!